Dr. Nyle C. Brady, the third director general of the International Rice Research Institute (IRRI) and long-time professor and leader in soil science at Cornell University in the United States, passed away on 24 November in Colorado at age 95. 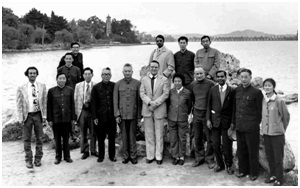 After 26 years at Cornell, Brady became IRRI’s director general in 1973. During 8 years at the helm, he pioneered new cooperative relationships between the Institute and the national agricultural research systems in Asia. institutions conducting rice research, as well as rice-growing communes where they interacted with farmers (a rare circumstance in 1976). Brady had previously provided China with seeds of IRRI-developed varieties, which jumpstarted the Institute’s formal scientific collaboration that facilitated the development of the country's rice economy. 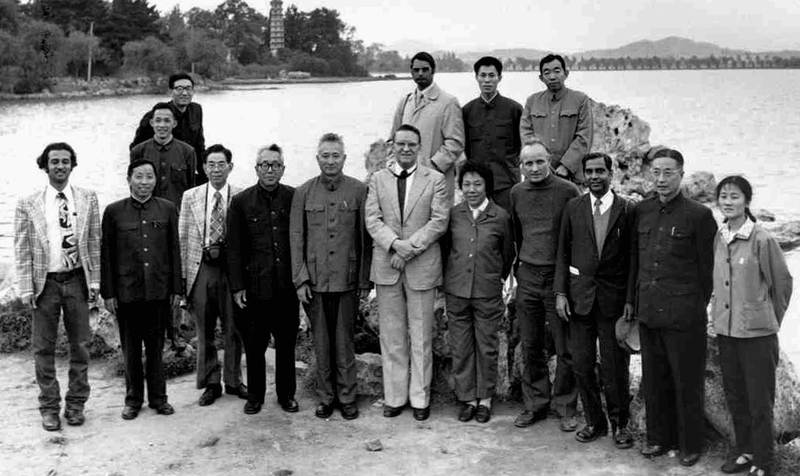 The October 1976 trip marked the beginning of dramatic changes in China and of a close relationship between China and IRRI that has resulted in major achievements in rice research. 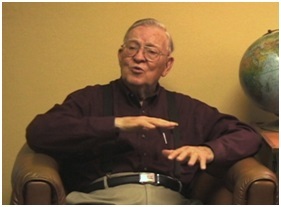 In a 2006 interview (video at right), Dr. Brady said, “My IRRI experience ranks very high. I had three careers: one at Cornell as a professor and a teacher, one at IRRI, and then one in Washington, D.C. with the U.S. Agency for International Development (USAID; as senior assistant administrator for science and technology, 1981-89), the United Nation Development Programme (UNDP), and The World Bank. "Nyle Brady led IRRI into a tremendous period of growth in the 1970s, through which some of its greatest achievements came to fruition," said Robert Zeigler, IRRI's current director general. "Even after he left IRRI to join USAID, and through his retirement, he was always looking out for IRRI's best interest. He understood the power of what IRRI had to offer some of the world's least advantaged people and did what he could to help us realize our full potential. IRRI and the world are better places for having had Nyle at the helm for so many productive years." Born in Colorado in the U.S., he earned his B.S. in chemistry from Brigham Young University in 1941 and his PhD in soil science from North Carolina State University in 1947. An emeritus professor at Cornell, he was the co-author (with Ray R. Weil) of the classic textbook, The nature and properties of soils, now in its 14th edition. “He was a giant in soil science and agriculture, and left an important legacy in many ways,” said Weil, professor of environmental science and technology at the University of Maryland. “Brady was one of the giants of our field, and yet known for his personable approach to students and colleagues,” said Pedro Sanchez, director of the Agriculture and Food Security Center and senior research scholar at Columbia University’s Earth Institute, whom Brady mentored. Brady was a founding donor of the Asia Rice Foundation USA (ARFUSA), a group of former IRRI staff members who have all worked and lived in countries where rice is vital for food and livelihood, and who are interested in assisting young scholars in advancing their careers in rice science. Memorial donations to ARFUSA may be made to honor his memory. Brady is survived by his wife Martha; son Donald; two daughters, Dorothy and Carol; a sister June Hunter of La Hara, Colorado; 22 grandchildren; and 90 great grandchildren. His oldest son Robert preceded him in death. Click here to place an online tribute.